Spinning Machine from Italy. 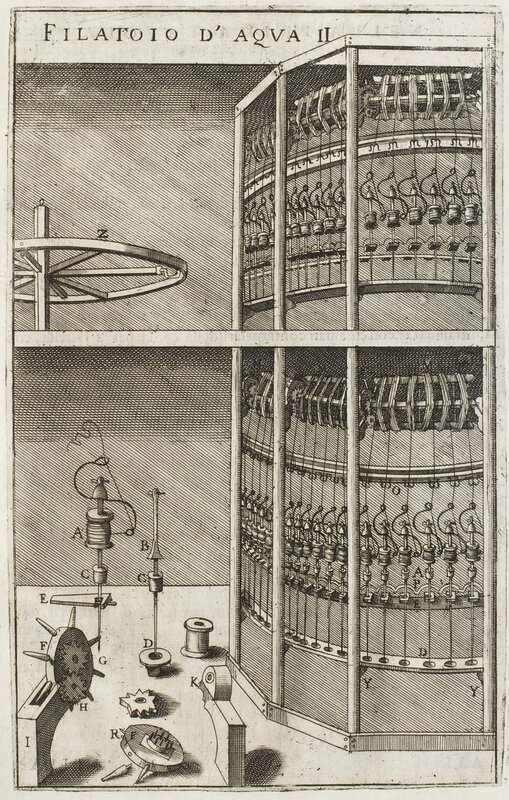 Picture published by Vittorio Zonca in “Theater of machines” (Novo Teatro di machine et edificii) in 1607. Image in Public Domain.